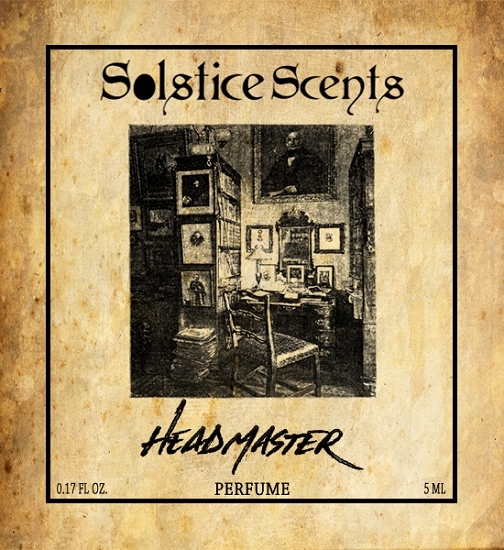 This perfume was inspired by the Headmaster of Gibbon's Boarding School. Headmaster opens with a top note of honeycrisp apple (grown by the neighboring Corvin's Apple Orchard) and a touch of pear that leads into a gorgeous bourbon heart that is heavy on notes of oak and vanilla with nuances of caramel and brown sugar. 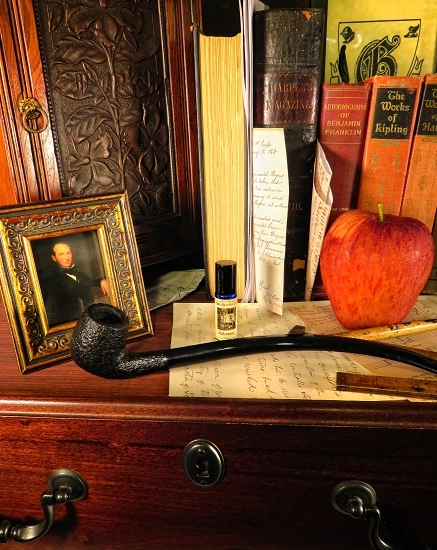 Stepping into the Headmaster's office, you will detect the scent of cedar pencil shavings. The cedar is a top note that emerges a few minutes after application, as the apple-infused bourbon settles around it. It leads into the dry down of warm oakwood, gentle spices, rich aromatic unlit vanilla pipe tobacco, polished applewood and amber. The scent is sweet, golden, warm, woody and sophisticated. Organic cane sugar alcohol based.